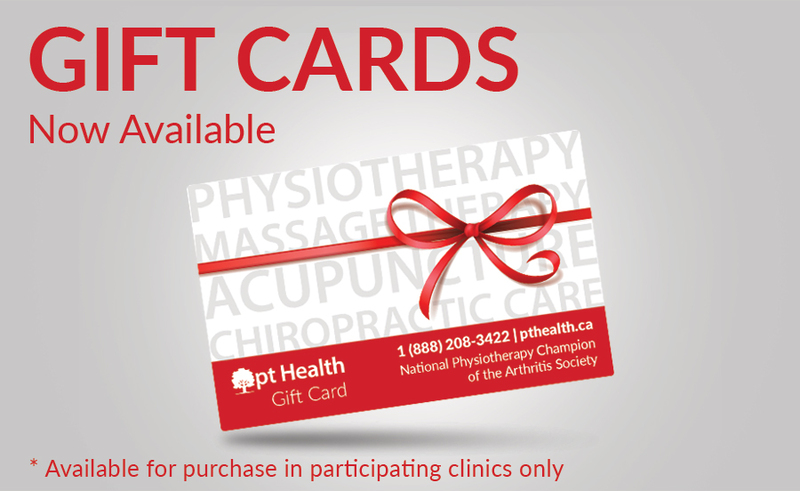 We now offer reloadable gift cards to use at participating pt Health clinics across Canada. Give the gift of wellness any time of the year! Gift cards are the perfect gift for everyone and can be used on any product or service. Purchase yours today at a clinic near you!